With the bedding changeover in the Gardens at Waddesdon in full swing we can officially declare that Summer has arrived! And what better time is there to visit this amazing, award winning French chateau in the middle of the Buckinghamshire Chilterns! There is still time to book a group visit to Waddesdon this season with lots of new exhibitions and tours to choose from and two new catering venues for you to sample lunch and afternoon tea. Following the successful launch of the Old Coach House at the Five Arrows Hotel on the Waddesdon Estate as a new lunch venue for groups, last year, the team at the award winning Waddesdon Manor have now launched their new Afternoon Tea offer for groups at the Five Arrows with prices starting at £20.50 per person. 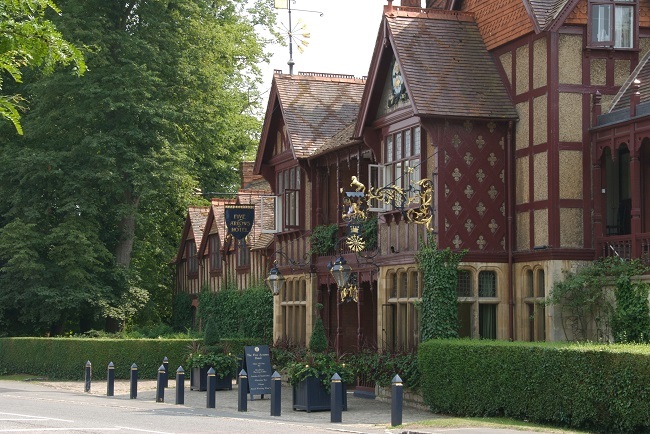 As a special launch offer all groups who book Afternoon Tea at the Five Arrows Hotel before the end of July will receive a 10% discount on the published price. 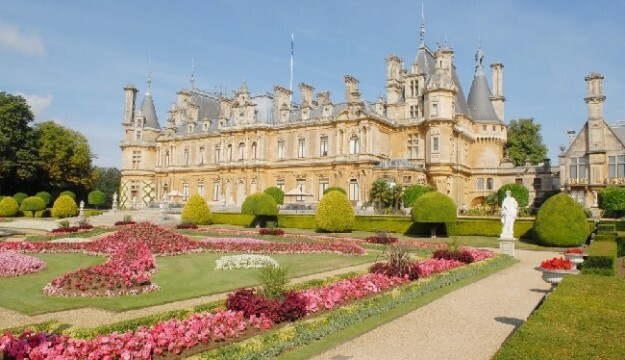 Learn the stories of people connected with Waddesdon including a close look at visitors such as Winston Churchill and Henry James who signed the visitors book. To mark the centenary of the Balfour Declaration on 2 November 2017 we have chosen a few documents from the Waddesdon Archive that llustrate the Rothschild family’s role in its conception. A special display exploring how Elizabeth 1 and her courtiers used portraits to fashion their public image and promote themselves in a glamorous dangerous world. 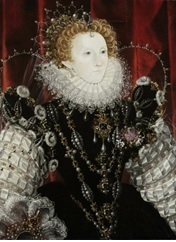 Two spectacular panel paintings have been newly attributed to Nicholas Hilliard, accompanied by loans from the Royal Collection and National Portrait Gallery. The second of our new catering venues for 2017 – the Treaterie! Based at the former Stables shop with plenty of undercover seating. Indulge in waffles and crêpes freshly made in front of you as well as artisan ice creams, cakes, pastries, macarons, fudge and sweets. For those of you who wish to plan well in advance – and we are already fully booked on a few days over the Christmas season – please click here for our Christmas brochure!